Dilston is a 10 acre campsite situated in an idilic location in the Northumberland countryside close to the historic town of Corbridge. The devilswater river that gentle ambles through the site is a perfect location for exploring water activities, wildlife or just enjoyingi ts natural beauty. The site has a hut with internal large space and external new decking, bedrooms and kitchen; a bothy for a rustic camping experiences and an ample hard standing car park and washing facilities. It also has lovely camp fire areas with fixed seating for memorable nights around the fire singing and can be used for almost any scouting event large or small. Book your space now before your dates are taken. 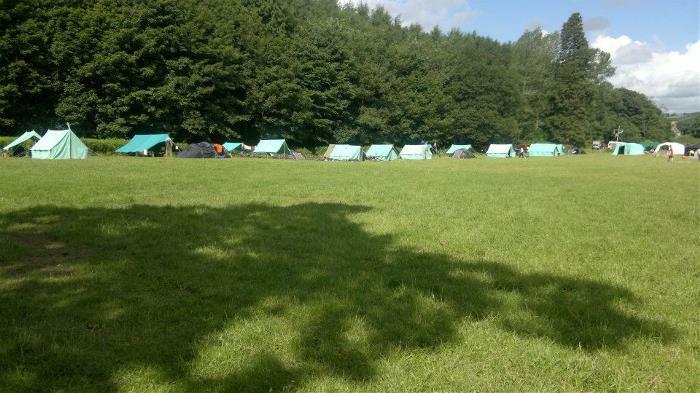 If you would to enquire about campsite availability, please visit the Activities or Bookings page using the menu links on the left. Bookings for 2019 start on 2nd January 2019.